William James Potter was born in North Dartmouth, Massachusetts, February 1, 1830. This at least is the probable date, though the year is sometimes given as 1829. His parents were members of the Society of Friends, and the boy, who was the youngest of nine children, was trained in the simple Quaker faith, many of whose familiar characteristics he never lost. The father was a farmer, and hoped to have the son become the same. But the boy began to develop very early those intellectual tastes and inclinations which marked him so distinctly in his later life. From the district schools in the neighborhood of his home he passed to the Friends’ School at Providence, Rhode Island, and thence to the Normal School at Bridgewater, Massachusetts, where he fitted himself to be a teacher. But nature had not meant him for the school-room. The passion for learning was strong within him, and in due season, after overcoming many obstacles, he found his way to Harvard College, where he graduated with the class of 1854. After another brief attempt at teaching, he decided to fit himself for the ministry. In 1856 he entered the Harvard Divinity School. A year later he left the school without waiting to complete the course, and sailed for Europe, intending to continue his theological studies in German universities. With this end in view he listened for a time to lectures by Trendelenburg, Michelet, and others in Berlin, and to Baur in Tubingen. But the studies soon came to be considered incidental, and later, when he went to Heidelberg, his chief delight was not in the ancient university and its lectures, but in the medieval castle with its noble terrace which hangs above the peaceful valley of the Neckar. Returning home in the late autumn or early winter of 1858, Mr. Potter offered himself as a candidate in the ministry. He was soon wanted by two churches—the New North Church of Hingham and the First Congregational Society in New Bedford, Massachusetts. Tradition has it that, when he asked his father’s advice as to which “call” he had better accept, the old man answered with caustic humor—for he little liked his son’s deflection from the Quaker faith—“If thee will preach for money, thee had better go where thee will get the most.” New Bedford, however, had many attractions, not the least of which was its nearness to the place of his birth. Thither he went therefore, and he was ordained and installed on December 28, 1858, becoming the pastor of a large and influential church, among whose former ministers had been such brilliant men as Samuel West and Orville Dewey, Ephraim Peabody and John Weiss. Thus began a somewhat remarkable ministry, unique in many respects and inspiring in all. When the war broke out, Mr. Potter went to the front as a hospital inspector, his task being that of “visiting and inspecting all the United States hospitals in and near Washington and Alexandria.” The church gave him “leave of absence” for a year. During this period he was married to Miss Elizabeth Claghorn Babcock, of New Bedford, his wife going with him to take part in his army labors. It was soon after the close of the war that he first became identified with a coterie of famous men who were distinguished leaders in the world of free and rational religion. Among them were O. B. Frothingham, Samuel Johnson, David A. Wasson, F. E. Abbot and C. A. Bartol. When the Free Religious Association was formed in 1867, as a protest against the platform adopted by the National Conference of Unitarian Churches, Mr. Potter was chosen secretary of the new and independent organization. 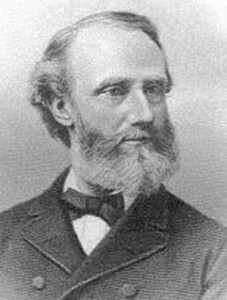 He threw himself with ardor and devotion into the pioneer work of the Association, and in 1882, after serving for fifteen consecutive years as secretary, he was elected president. For six years, from 1880-1886, Mr. Potter was the editor of the Index, a weekly journal published in connection with the Free Religious Association, and many of the best expressions of his thought appeared in the editorial columns of that paper. The Sunday sermon was often made to do a double service, and was enjoyed by the larger congregation of the Index readers after having held the close attention of the people in New Bedford. In the mean time the people of his parish were keeping loyally in step with his rapidly advancing thought. They allowed him entire freedom of expression, and received with confidence his prophetic word. Never were people of a church more loyal or responsive to a progressive leader. They even consented to change the character of the communion service, and at length to give it up altogether, when he told them that it had ceased to express his inmost convictions. Hard work and domestic sorrow combined at last, however, to undermine his nervous strength. After several interruptions in his work, when he went to the South in search of health, he was finally prevailed upon to have an assistant, and an associate pastor was installed on October 8, 1889. Three years later, after a term of service extending over thirty-three years, he sent in his resignation, and insisted on having it accepted, preaching his farewell sermon on Sunday, December 25, 1882. In his letter of resignation Mr. Potter had expressed his intention of “carrying elsewhere the religious message” which had become “so familiar” to his New Bedford people. He had in mind a kind of preachership at-large, and the parish voted him the “sum of $2,000 annually for five years,” to help him in the work which he proposed. This act of generosity and devotion on the part of people to whom he was bound by the strongest ties of affection touched him very deeply, and contributed toward making the last year of his life the happiest he had known. Crossing the continent in January, 1883, he preached with great power and impressiveness in many of the California churches. His services were sought with eagerness, and his old friends who met or heard him were impressed with the buoyancy and youthfulness of his spirit. In the autumn of the same year he returned to the East, and gave a course of sermon-lectures in Boston and Worcester on the Twenty-third Psalm in the Nineteenth Century. He had never been heard to greater advantage, and it seemed that the larger field of service was waking in him unused powers. But the end was near. On December 17 he preached in New Bedford for the last time, his sermon being entitled “The Sunshine of the Soul.” On the evening of Thursday, December 21, he was seized with a sudden faintness in the streets of Boston and became unconscious, dying almost immediately. He had been aware for some years that there was weakness of the heart, and it was this, undoubtedly, that brought about his death. The funeral took place a few days later from the old church in New Bedford, which was thronged to the door with mourners. Mr. Potter was exceedingly shy and retiring in his manner, living a great deal to himself—a quiet, gentle, interior man, whose “library was dukedom large enough.” He was a preacher rather than a minister, a prophet, not a pastor. He found the customary parochial functions difficult and distasteful. Nor was it wholly different in the pulpit, where his gifts were those of spiritual power, not of popularity. His radical views offended many, and his thoughts were too profound to attract the masses. Artificiality was entirely foreign to him, and no man ever dreaded sensationalism more. Sincerity was the central characteristic of the man as of the minister. Gentleness and firmness were combined in him to a singular degree. Modesty and courage met together in his saintly nature. Truth was the central passion of his soul, and righteousness went out before him, and set people in the way of his steps. A preacher of the loftiest moral temper and the rarest intellectual gifts, his published sermons the best expression of our most characteristic thought to which we have yet attained, as calm as Channing’s in their tone, but with an intellectual grasp which Channing never had, and a sweep of vision which was impossible before the orb of scientific truth had fairly risen and dispersed the misty exhalations of the dawn. Such a tribute from so calm and commanding a critic is itself a monument of fame.